There are so many reasons why buying vintage is the best way of buying clothes. Except the environmental and style factor our favourite one is the history behind every single piece. Our Tropical Pelican Shirt, for example, was sewed almost thirty years ago by an enamoured girl for her boyfriend. Now it’s in our hands and we love the crazy, tropical pattern! It suits everyone, no matter if man or women; which is another reason why we love buying vintage pieces. Everything is so versatile! 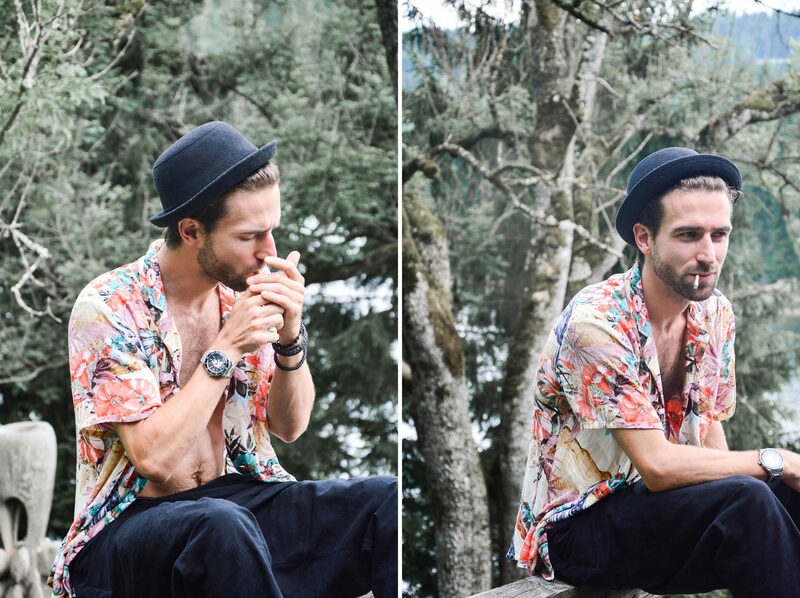 To show you that we took this vintage men’s shirt and styled it in three different ways. Since at least our Boho collection you know we love the bohemian style. 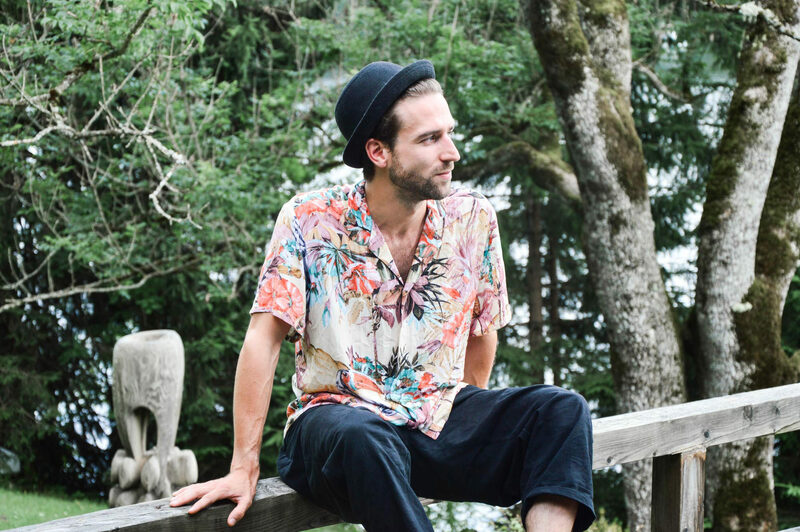 Combined with the right pieces this vintage men’s shirt is bohemian a.f. Leave it open, take your favourite bracelets or necklaces, your black hat and wide trousers and you are ready to live your bohemian dreams! Shop the outfit: Shirt, similar HERE | Hat, Bracelets: Private | Similar trousers will be online soon! It’s not so easy to dress yourself on hot summer days. But girls, thank god, you’re a woman! Just take your boyfriend’s airy vintage shirt and style it casually with your favourite pair of shorts. The pattern will do all the work. All what you need is a belt and shades against the sun light. Ready, set, go! Vintage men’s shirts are versatile? Not just men’s shirts! Would you have guessed that Philipp is actually wearing women’s shorts on these pictures?? 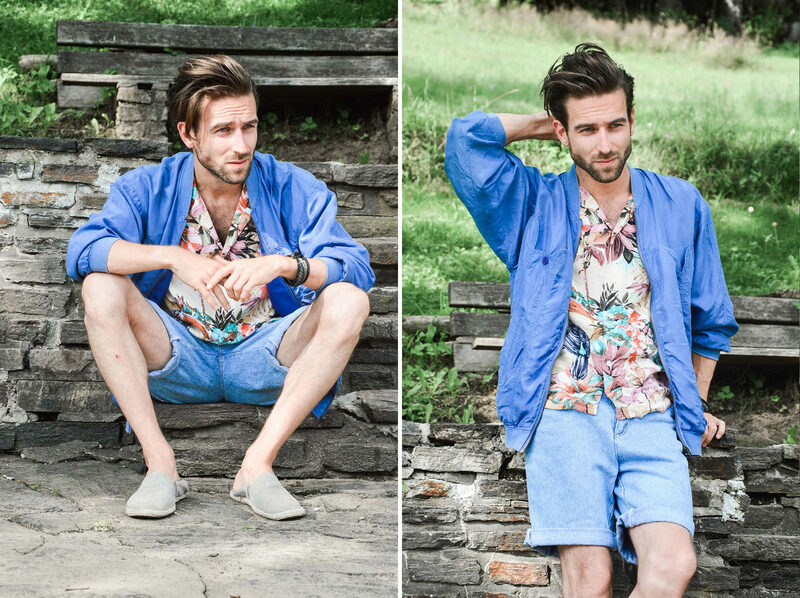 Together with our blue silk jacket and his espandrilles the outfit is perfect for every day trip.